I can barely believe that 2011 is coming to an end. It was one of those years where January feels like it was a lifetime ago, but in the blink of an eye, my vacation is coming to an end and I’m not quite sure I’ve accomplished everything I needed to. But alas, I think that is how life always is. The days that you want to last forever are gone as soon as you try to hold on to them, yet there are plenty of weeks that drag on and Friday evening seems to be a lifetime away. If you told me January 1st where I’d be today, I don’t think I’d be surprised but I think I would be relieved. This blog is doing really well, and actually has kept me going through some of the rougher days throughout the year. Comments and emails from readers have been some definite highs. Matt and I made a significant move into a new apartment where I can walk around in the kitchen and don’t feel like I’m getting whiplash watching TV. The best part of this year coming to an end is that I am really looking forward to the start of a new year. I’m not one to make resolutions, but I do like to come up with some goals for myself and big picture ideas of what I want the new year to look like. Some exciting things may be coming down the road for Keep It Sweet and I can’t wait to see how it all unfolds. I’ll be putting in a lot of hard work and time, but I have a feeling it will be worth it. All I can say is, it is a good thing I have such supportive people in my life or I’d never have the guts to do half the things I want to. And on that note, let’s take a look back at the year and your favorite recipes. If I’ve learned nothing else from this, I at least know that I’m not the only one around here that likes peanut butter and cookie dough! Do you have any Keep It Sweet favorites? I’d love to hear feedback if you baked anything from the blog! Those are definitely one of my all-time favorites, too! My favorite Keep It Sweet memories are when I get to sample your tasty treats in person! Jessica and I are so proud with how far the blog has come in the last year!!!!! We wonder what next year will bring…………!!! Love Keep It Sweet and love you! i’m so glad the cookies were a hit! Funny how our favorites sometimes don’t make the list of everyone else’s favorites. Both lists are fantastic though! Fantastic list! Thanks for all you do…Keep It Sweet is def one of my fav foodie blogs! Happy New Year’s! These literally all look fantastic. It’s torture looking at all those delicious photos! It was fun reading this post and knowing how much other bloggers get out of their blogging adventures. It has opened a whole new world of creativity in my life and I am so happy when I hear how its changed others lives. I am also drooling over all your peanut butter and chocolate desserts. My favorite sweet combo, hands down. Happy New Year! If I wasn’t on sugar overload already, I might be now :) These line-ups are mouthwatering. You have had such an awesome blog year and I’m definitely looking forward to what’s to come! This is a mouthwatering array of desserts. I want to try them all! I suddenly want all the desserts! All of these look scrumptious. Yum! Everything just keeps getting better and better the farther I scroll down! You had me at the brownies. They look so fudgy and dense and delicious. Thank you, Lora! Same to you! One thing looks better than the next! I would eat every treat you just listed in a heartbeat… especially that peanut butter cup ice cream pie!! One of the best parts of my year was getting closer to YOU. :) It’s so great when you meet someone who you instantly can relate to and can talk to as if you’ve known them forever. I wholeheartedly agree with this favorites list. And now I feel like I need to start baking. Here’s to even MORE awesomeness from Keep It Sweet in the New Year! You have definitely had a wonderful year and I’m intrigued to see what’s up for 2012 :) I think my favorite dish on this list is the cookie-bottomed cupcakes! Yum!! Happy New Year, my friend!! yum! You have some great looking treats here! Happy New Year! Everything you listed is delicious! I also love your shortbread cookies! They melt in your mouth! Can’t wait to see what you are working on for 2012! I just can’t decide which one is better I’m between the cookie bottom cupcakes and the ice cream bars but honestly everything looks delicious you have such good recipes! So many delicious recipes. I wanted to make a decision, but I just can’t. Now these are some yummy desserts! I just did a favorite recipe post too. Happy New year…the best is yet to come! All of your desserts look amazing!!! It was a fantastically, deliciously sweet year! Looking forward to many more sweet treats and delicious recipes in 2012! Such a great list of delicious desserts! Looking forward to some more in 2012! Wow, you’ve been busy w/ sweets this year!! Those cookie bottomed cupcakes look pretty fun to me. Happy New Year! Thanks, Lori! Funny that my tight clothes would agree with you, oops! I’d go for your classic chewy chocolate chip cookies. Those look so good. Happy new year! Wishing you the best in all that is to come with your blog & beyond. i should have done a recap. Found your blog through Elina at Healthy & Sane. Next time I need a good dessert recipe, definitely know where I’m going to look first. Great blog! Thanks, Rachel! 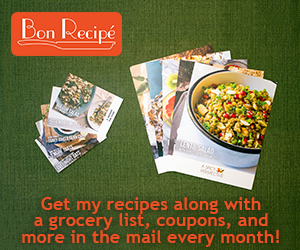 Let me know if you try any of my recipes!